Spand-Ice combines ice and heat therapy plus compression in a tank top design targeting low and mid back pain relief. 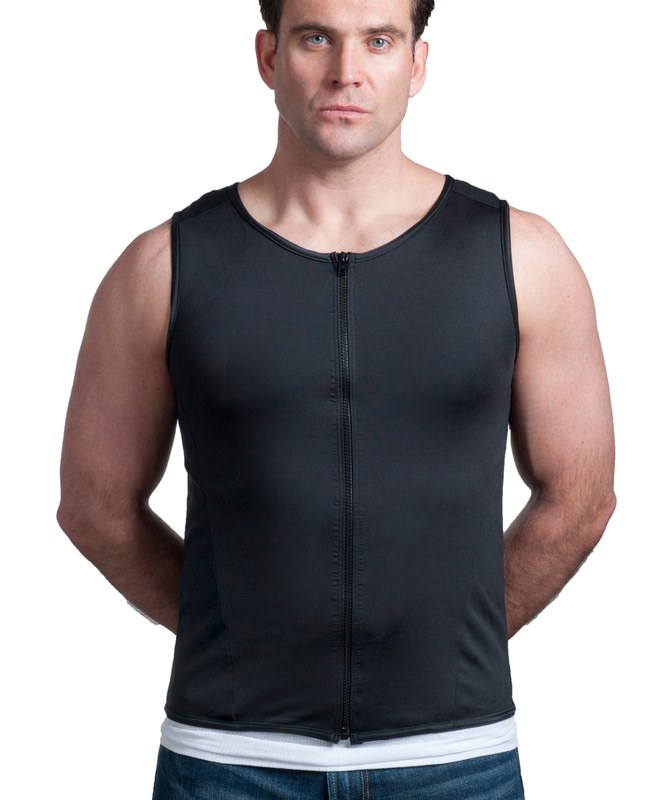 Using patented reusable hot/cold therapy with an adjustable support band, our tanks are made to keep guys everywhere pain free and active. 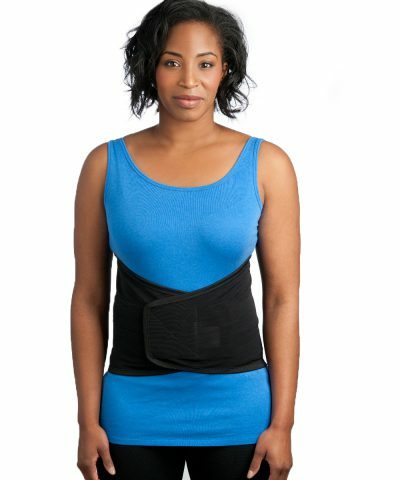 Get back pain relief therapy on-the-go in a wearable design you can use anywhere. Reduce pain, inflammation, and muscle soreness for your back. 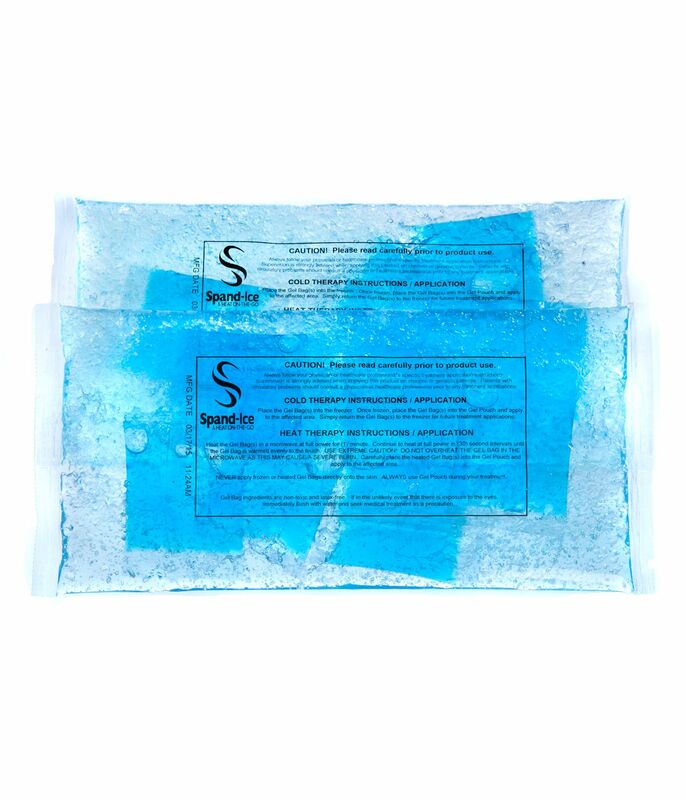 Spand-Ice products are comfortable, safe, effective, and long-lasting. I have three bulging discs in my lower back. 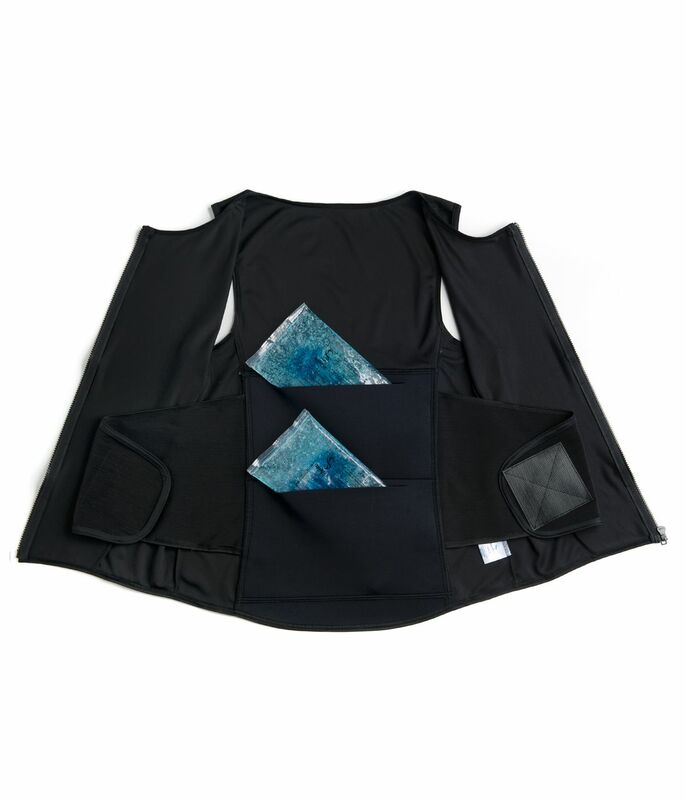 Since purchasing the Spand-Ice vest, the cold therapy is much easier to apply, and has helped keep me mobile. I do charity events as Batman. My costume is mostly leather and rubber so it doesn’t breath very well. On hot days this has been a life saver! It fits well under my costume and doesn’t hinder my movement. I would highly recommend this to anyone who is doing cosplay and looking for an inexpensive way to stay cool. I’m wearing a UD Replicas Dark Knight suit if you would like to google to see what I am wearing for comparison. I’m so grateful, Helen, that you created the Revive Tank. I bought one for my boyfriend and it’s literally changed his day-to-day life. Before he had a Revive Tank, he lived with his back pain. He didn’t take pain killers, didn’t ice (too “on-the-go” for that) – he just tolerated the pain. While he was a little skeptical when I first gave him his Tank, he tried it anyway. Now he uses it almost daily and is finding that he’s getting so much relief! While his pain is chronic, it makes me feel so good to know that he has an option to get just a little relief. Thanks for creating this innovative solution for his pain! The Revive Tank was a life saver. A few weeks before a scheduled 19-hour drive, I fell down a flight of stairs and fractured one of my vertebrae. 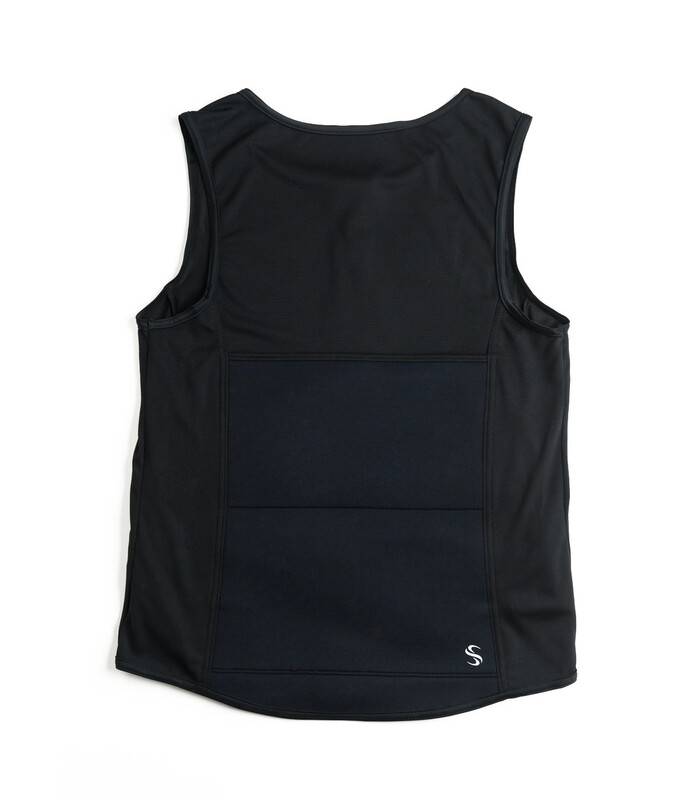 I have had lower back problems for decades and had tried numerous products for hot/cold therapy, but none measure up to the Revive Tank for effectiveness and convenience. You get the cold/heat where you want it and are able to do whatever you want while wearing the product. Best of all, I was able to drive 19 hours (on two successive days) with no pain! It’s great. I use it mainly for when I work around the house and car. The lower back pain I use to experience all the time after being active is much less now. I bought this for my husband who has had two back surgeries. He loves the freedom he has while icing his back. We highly recommend it! My chiropractor always told me to ice my back after I played volleyball, but I was always too lazy to do it. 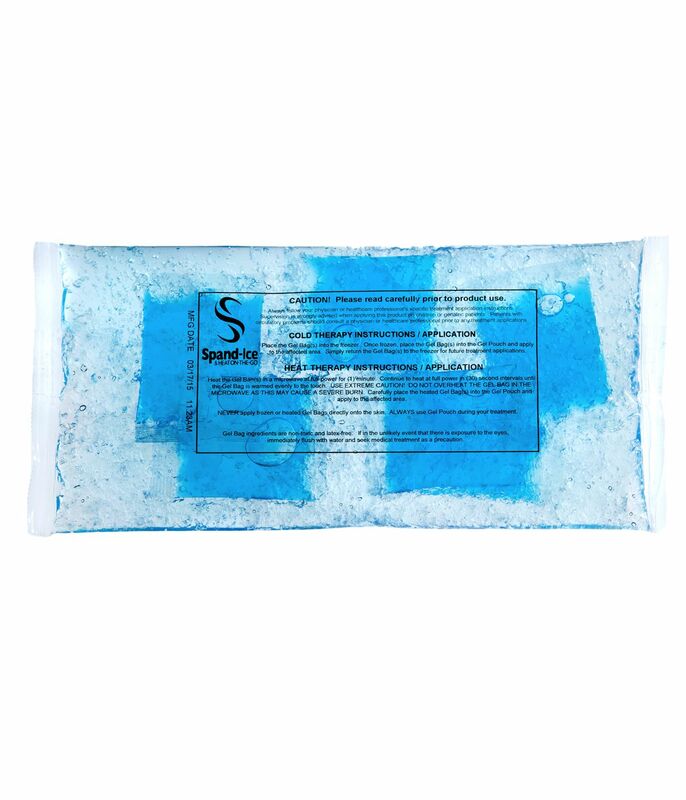 Now with my Spand-Ice Revive Tank icing my back is really easy and has helped a lot. After icing my back it is easier to fall asleep at night and I get a better nights sleep. I also wake up with a LOT less back pain! I have found this product to be quite useful as a tool for me to manage my chronic back pain. It allows me to ice while working. I like that I can ice my mid-back and lower back at the same time. It is comfortable and has held up well during frequent use over the past year. I highly recommend it to anyone who is looking to stay active. 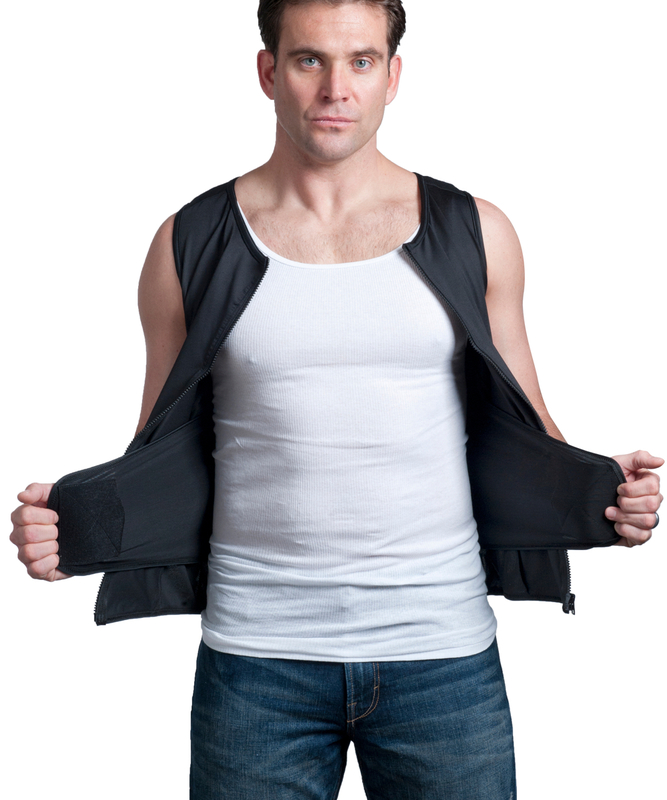 Size note: I am a size 16 woman and bought the men’s XL vest so that my husband and I could both try it out. 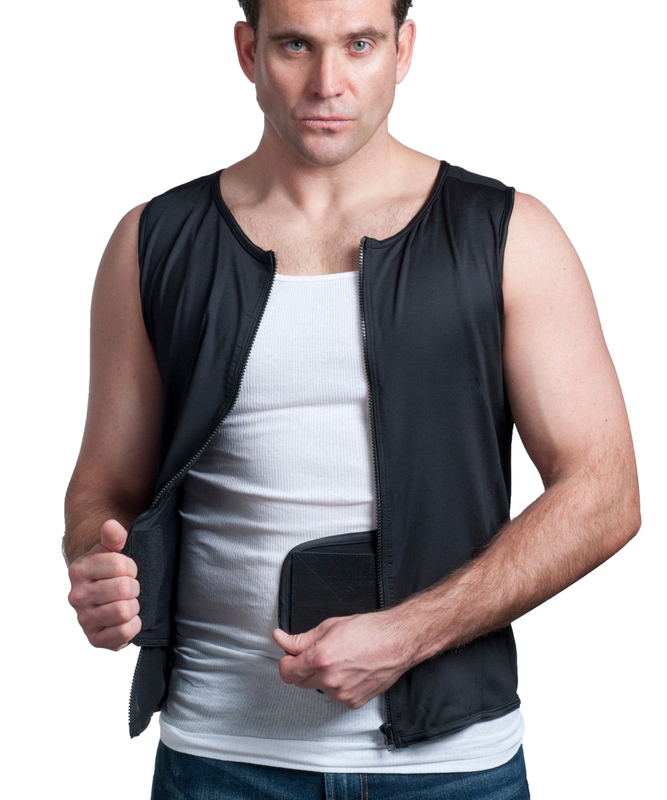 It is a little baggy under my arms but fits my husband too (he wears a 44″ jacket size). The best thing about The Revive Tank is that it is portable. I own a mid-sized small business and days can filled with a lot of laborious tasks. Of course there is no downtime, so the tank comes in extremely handy. Even after those long days in the field, I can send all of our end of the day reports and treat some of my lower back pain. 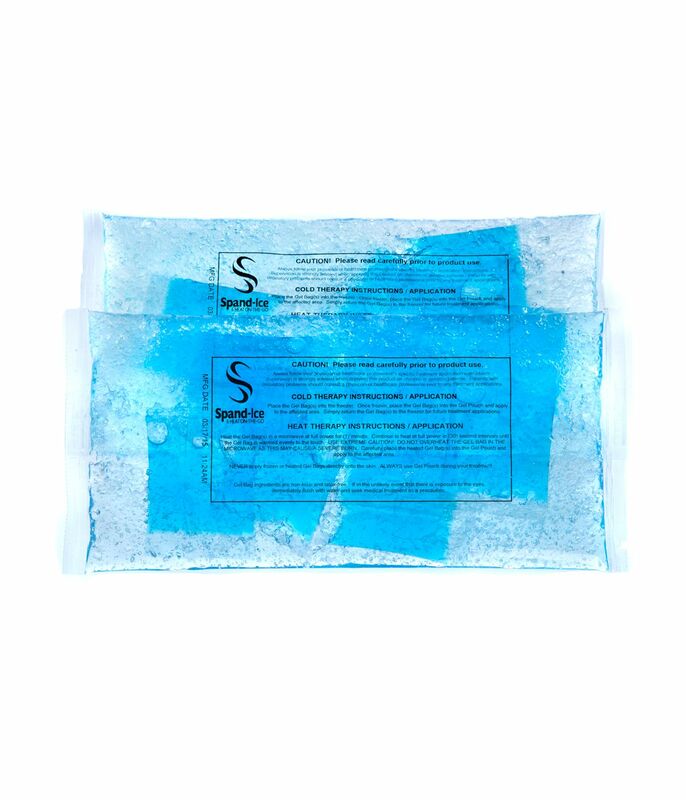 I have been a huge fan of ice and heat techniques for many years and love Spand-ice for both of these treatments. Remember that in addition to the icing the therapy packs are also able to heated. I think some people forget or may not know this. This is the best help I have ever got for my back. I have used it now for more than 6 months. I just love it. When building a house about 40 years ago, I injured my lower back. Since then I have chronic stiffness on my left side and lower back stiffness generally, after cycling, running, and especially when working bending over. I manage the minor pain and stiffness mostly by yoga, stretching, and weight training, but icing or heating with the Spand-Ice garment speeds up the healing process and just feels really good. 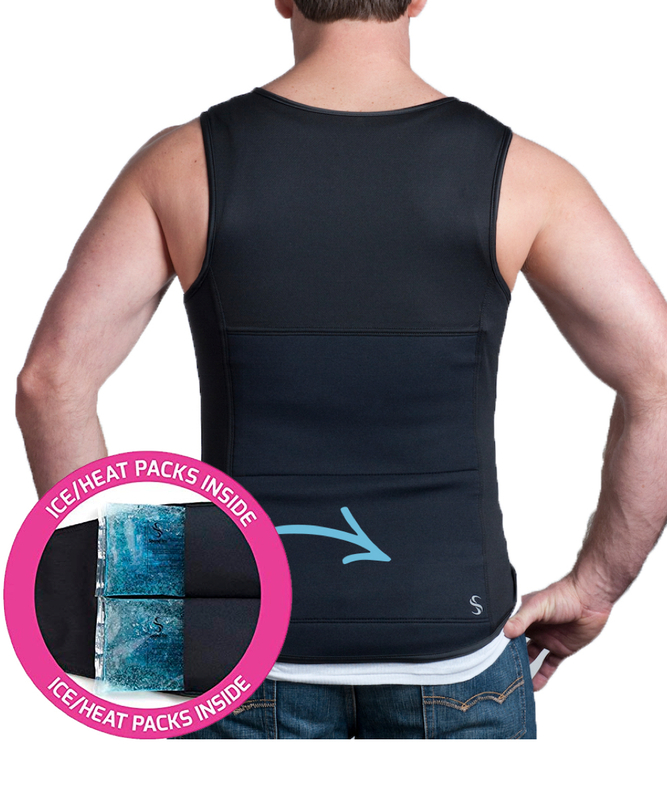 I especially like the way it puts the ice or heat pack tight against my lower back. The tight fit also helps my awareness of posture and makes it easier to stand up straight when I am stiff. I work long hours standing at my computer, and icing or heating while doing that makes the task easier. I use this well made product for non-standard effects like slimming my mid-zone as well as keeping warm outside. Heat up a pack and put it on, you can go hours in the cold and not feel cold. And when my back does hurt … it’s just the ticket! Love this product. GREAT PRODUCT! 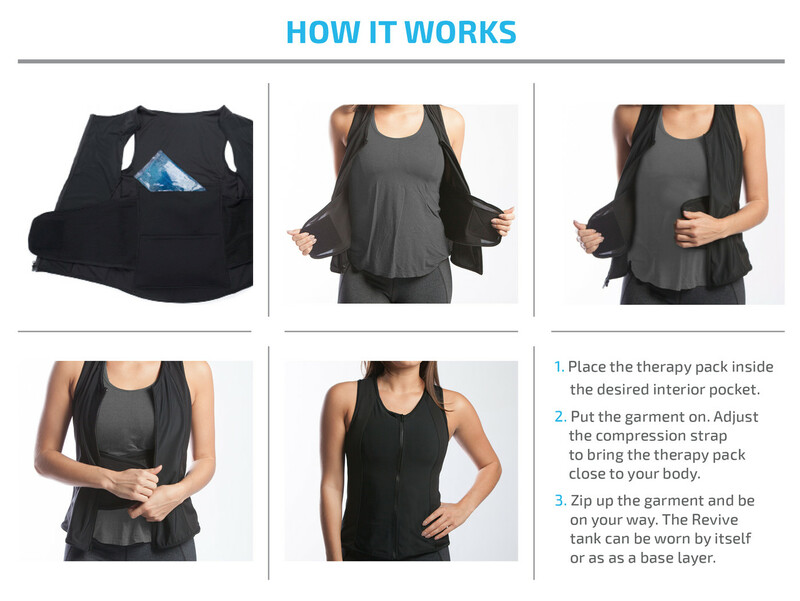 The Revive Tank has been my solution for chronic lower back pain. An accident left me with intermittent pain that I can normally manage with ice and heat. 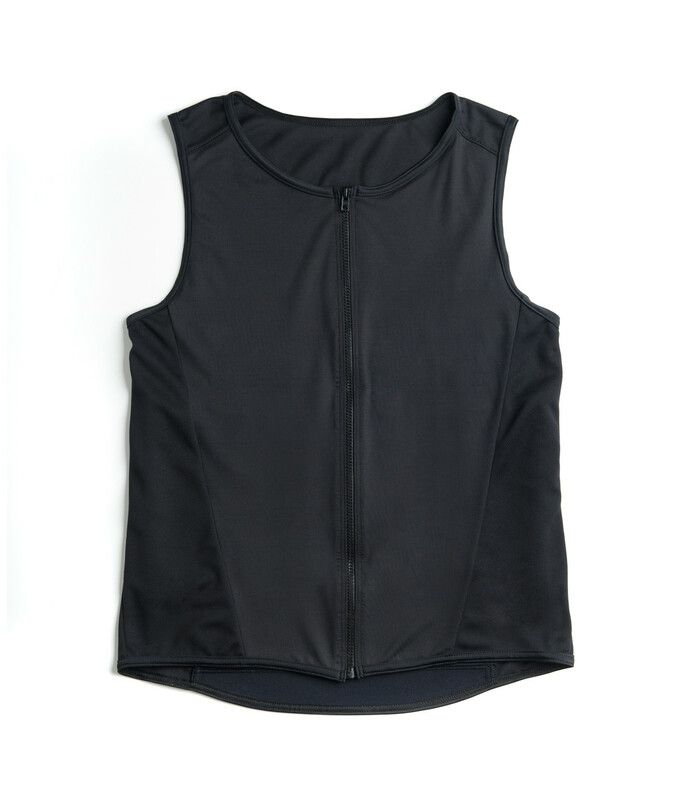 I love the tank because it is comfortable to wear and allows me to care for my back while staying active. I would definitely recommend getting additional therapy packs so you can always have one ready when you need it. I have had major lower back issues for many years. I started working out and running a few years ago, and the issues were fewer, but still made their presence felt, even after a light workout. 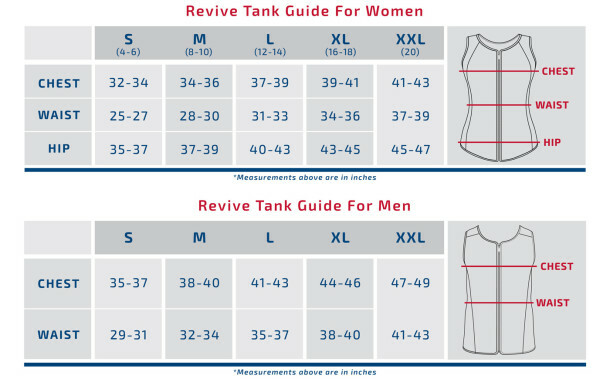 I tried multiple products, and the Revive-tank has been awesome. The tank may take a little time to become comfortable, but it allows me to do other things while icing down. I would recommend this product to anyone with lower back pain/issues.